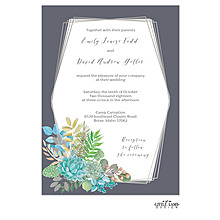 It will be a white wedding in Las Vegas with this white, invitation card featuring a Las Vegas design at the top with your wording printed below. 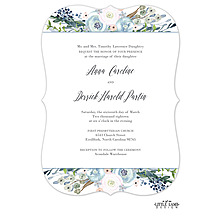 Flowers, hearts and vines form to create a boho wreath around your wedding invitation wording. 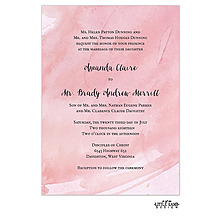 Your choice of ink color makes this whimsical and unique. 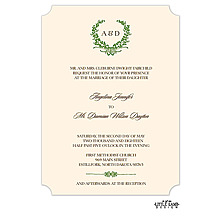 Your special day needs a unique invitation. 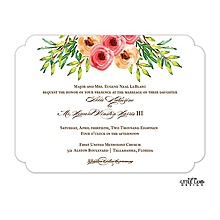 With this card, your wedding is center stage with an adorable flower and banner design. 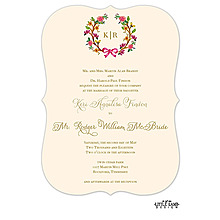 This bright white, gate-fold invitation features detailed embossed snowflakes on the front and your wording inside.